I realize I completely stopped short of the actual upload process. The thing is, you're gonna need to practice making videos before you even start your channel. Watch a few of your favorites, people whom you admire, and copy their style. You don't ever have to upload the first few videos you make, in fact, that practice can help you develop your own style and get comfortable in front of the camera. 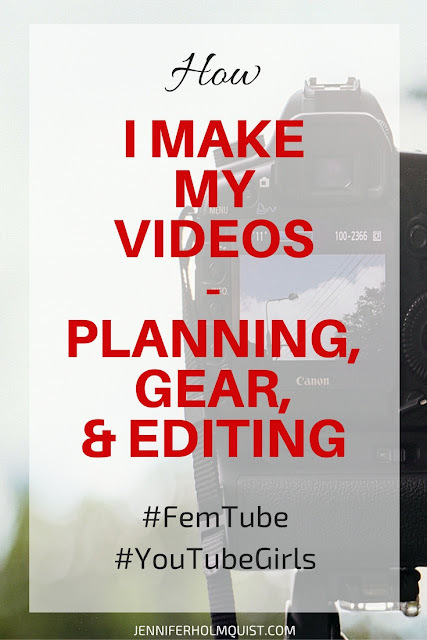 FemTube is a community of women on YouTube that has mostly existed as a Twitter chat and Facebook group for the past year. They just launched a website and started creating playlists of inspiring female YouTubers. FemTube "focuses on empowerment and community for creators who are often underrepresented within YouTube and media as a whole." It's a safe space for lady YouTubers and I'm proud to be a part of the community. YouTubeGirls is a tag video. (a video prompting others to create a similar video) It's for the first major playlist of FemTube, and though I missed the cutoff date for that playlist, they are still encouraging people to participate. 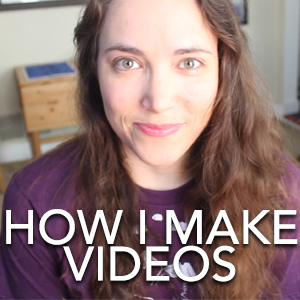 The idea of YouTubeGirls is to share how you make your videos and to help inspire and give ideas to other creators. So not only are these women supporting each other but they are also giving away their video making secrets for the benefit of others. That's what I hope to do here on this blog. I want to tell you how it's done and help you with any problems you have starting you channel. If that sounds like something of value to you, make sure to sign up to receive free email letters from me about YouTube. The first 5 people to sign up in August get a free channel review from me! No channel yet? Tell me what you're struggling with! I'll help you get it set up.